Few if any, have more investigative experience than Thomas Greene. 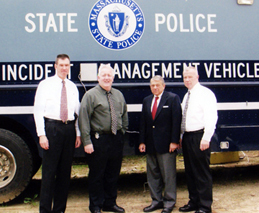 Thomas Greene, principal of Greene Shield Protection, holds a Master’s Degree in Criminal Justice from Western New England College and sharpened his investigative skills while serving over two decades as a State Police Detective. In June of 2007, he was invited to serve in the Staff Inspection Section, part of the Division of Standards and Training and recently retired from this section as the Commanding Officer. In the Staff Inspections Unit his responsibilities were to conduct and oversee the internal inspection, investigation and audits of all State Police units and personnel. His duties were to ensure the highest ethical standards and professional integrity by auditing compliance with established policies, procedures and regulations. This Section conducted management studies to identify risk factors and propose solutions to minimize the chances of Department failure or deficiency. These findings facilitate continuous improvement of all Department operations and practices. Thomas Greene spent over two decades of his career serving within the State Police Detective Unit of Worcester County, he started as a Trooper assigned to undercover investigations and rose through the ranks to Unit Commander, attaining the rank of Captain. This Detective Unit serves over 750,000 citizens within the 60 cities and towns in Central Massachusetts and is divided into two sections: criminal investigations, which encompasses homicide and major crimes; and narcotics investigations. Thomas Greene directed investigative operations at crime scenes, executed search warrants, and arrested perpetrators. He oversaw the investigation of Police- involved shootings and Internal Police Investigations. Thomas Greene has testified hundreds of times in the Commonwealths District and Superior Courts as well as Federal Courts in Massachusetts and Rhode Island. As you can see, Thomas Greene has extensive experience in investigations. 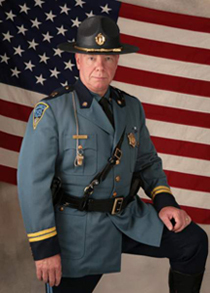 Thomas Greene has over 28 years of law enforcement experience with the Massachusetts State Police. Throughout his career, he has maintained excellent working relationships with Local, State and Federal law enforcement agencies including the FBI, DEA, ATF, DOJ, US Customs and Immigration (ICE) and the US Secret Service. Thomas Greene has extensive experience in risk management and has provided for the security and safety of elected officials, visiting dignitaries and members of the Judiciary. 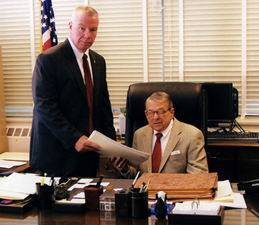 Greene Shield Protection has the investigative experience, knowledge, resources and extensive contacts in local, state and federal law enforcement to get the job done. In addition to his private investigation and security business, Thomas Greene has established a police consulting practice. Thomas Greene maintains a strong affiliation with law enforcement. He is an Associate Member of the Central Massachusetts Chiefs of Police Association.